The design of AMG National Trust Bank’s new headquarters was influenced by The Palace of the Rhine in Strasbourg, France as well as the work of Aristotle. 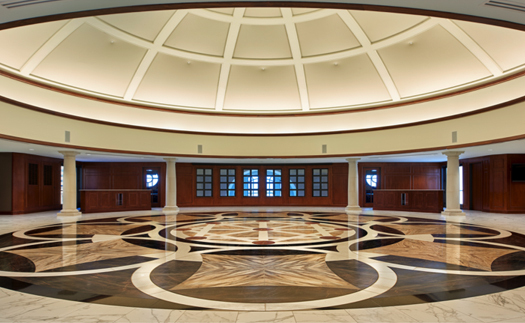 Occupying the third floor is The Dome at AMG, a one-of-a-kind conference center and event space that is used not only for AMG’s daily business, but to host AMG client and other community events. 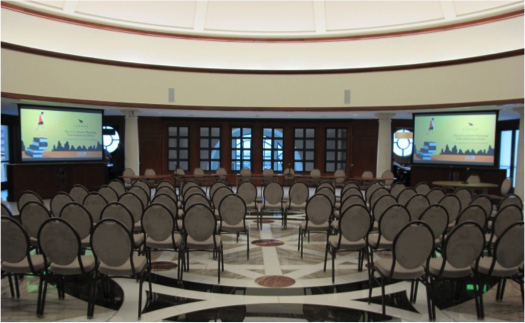 Four projectors with rear-view projection screens and four cameras are located around the perimeter of the dome, centered between the stone columns. All retract per the client’s request that they should disappear when not in use. 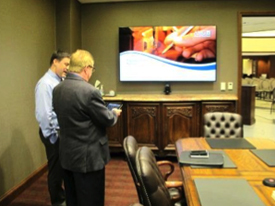 The Boardroom is adjacent to the Dome and features two side-by-side 90” flat panels. 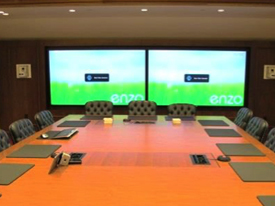 The Executive Conference Rooms include 80” flat panels, and all feature video conferencing, streaming and wireless connectivity. 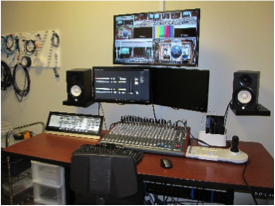 A video production system supports The Dome and conference rooms so events can be streamed from any location including the Mezzanine the Bank Lobby, or the outdoor patio.